TELECOMMUNICATIONS magnate and billionaire, Mr Strive Masiyiwa has pledged to build a house and pay a $1000 lifetime monthly allowance to an elderly woman from Harare who walked from Mbare to Highlands to donate to Cyclone Idai survivors. 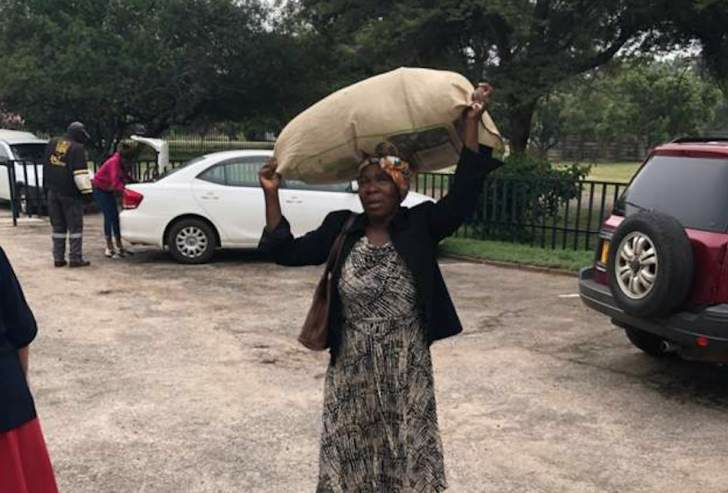 The gesture is in recognition of the woman's determination to help even though she does not have much, walking to donate her pots to people in Chimanimani as she did not have bus fare. In a Facebook chat with one of his followers, Mr Masiyiwa said he would give her a monthly allowance for the rest of her life and build a house for her anywhere she wants in Zimbabwe. "You are absolutely right. Gogo came to give. This is the biblical "widow's mite"! She gave more than us all. What she did is one of the most remarkable acts of compassion I have ever seen," said Mr Masiyiwa. "When this is over, I'm going to find her, and invite her to come and see me, if possible then I will spend time in prayer with her. Then I will build her a house, anywhere she wants in Zimbabwe. It will have solar power and running water. "Then I will give her a monthly allowance of $1 000 for life because I admire people who are moved to act in a crisis. God bless you if you are moved to act as she did. It is not about how much you have." He said Cyclone Idai caused not just loss of life, but also loss of livelihoods. Mr Masiyiwa said sadly, the official numbers of lost lives can't be known yet as some people are still missing. "March is harvest season and whole crops were wiped out with countless livestock drowned. "Floods and winds destroyed businesses, schools, clinics, churches, roads and communications infrastructure. It is a shocking disaster with whole parts of towns in Mozambique under water. "National GDP growth will obviously be affected in these countries," he said.